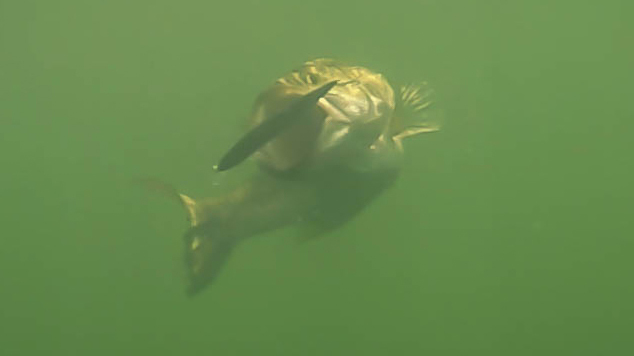 Underwater Footage of Giant Bass Eating Swimbaits and Jerkbaits! Watch as big bass smash glide baits and ambush jerkbaits! Have you wondered what that "tick" on your line actually looks like? What are those bass doing down there? Let's head under water and find out! Its amazing just how brutal these big largemouth can be. Above water you feel the "tick" of a bite but below the surface these predators are ambushing with incredible force! If the bass are schooling the strikes are even more ferocious! We wanted to kick 2019 off with some fun! We know that Winter is a struggle for a lot of anglers. Stick to it and fish hard because this is the time of year that GIANT bass bite. Below is a break down of the baits you saw used in this video.